Mercury moves into your career zone until January 2, so it’s time to communicate clearly and often with work colleagues – and organise a catch-up lunch for over the holiday season. With Mercury visiting your travel and learning zone, many Bulls are keen to study a topic - or language - that has always fascinated you, or plan an adventurous trip for some time in 2016. Mercury moves into earthy Capricorn, which stabilises your quicksilver mind. If you methodically tick off the to-do list, you’ll power through Xmas preparations without the usual distractions. Hey Crabs - it’s time to keep the channels of communication open, as talking planet Mercury moves into your relationship zone. So moody silences are out and two-way conversation is in! With plenty of planetary activity in your wellbeing zone, it’s time to take a close look at your health and fitness levels. And are you up-to-date with all your medical and dental checks? Mercury – your ruling planet – moves into conscientious Capricorn until January 2, which suits you just fine, as you concentrate on details and your common sense shifts into top gear. Venus is visiting your cash zone, so you’re focused on money and business matters. But are you seeing your current situation objectively? Perhaps it would be best to get a second opinion? Venus in Scorpio puts you in the mood to appreciate beauty, romance, music, fine food and wine, plus other hedonistic pleasures. It’s also time to attend to your physical appearance. Have you been rash with cash? With Mercury moving into your $$ zone, it’s time to be more financially literate as you study up on managing money – or employ a professional to do it for you. Mercury moves into your sign, where it stays until January 2. So you’re at your rational, rigorous and reasonable best. But resist the urge to critique and criticise those around you. Don’t accept things at face value. With Mercury and Pluto in your research/mystery zone, look beneath the surface – and do some background briefing – to discover what’s really going on. With Mercury moving into your networking zone, it’s time to mix and mingle with the best of them as you nurture friendships and make exciting new professional and personal contacts. 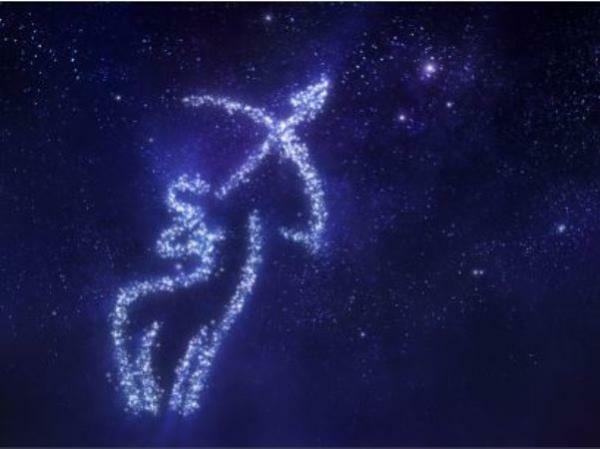 The stars favour companionship and smart communication. For a Sagittarian you are remarkably calm! Saturn moves through your sign in 2016 so – with hard work and persistence – you’ll make solid gains and pleasing progress.